Spring is there and summer will come soon. It's time to ride on week end or holidays. 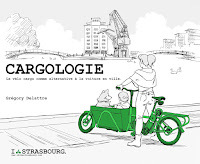 If you don't know yet where to go and if you don't ever cycling in Strasbourg here are some information which I hope will persuade you to come and discover Strasbourg and its backcountry by bike. 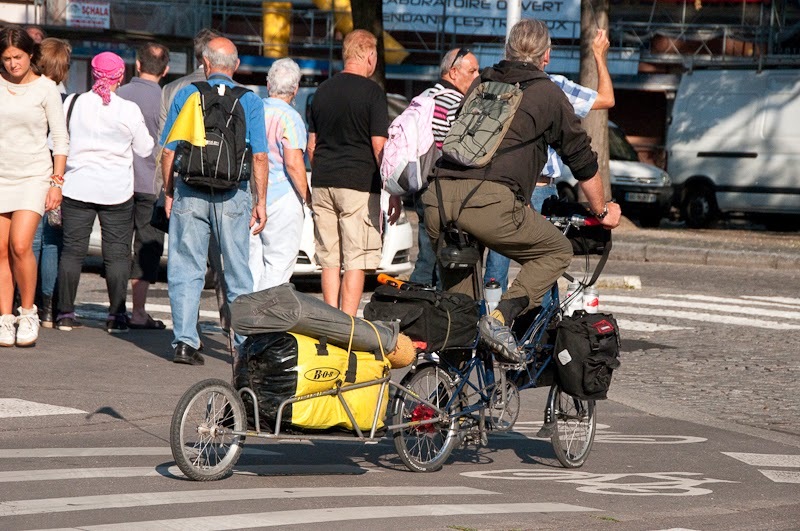 This article was specially written for an english web site about cycling in France for fun called Freewheeling France*. 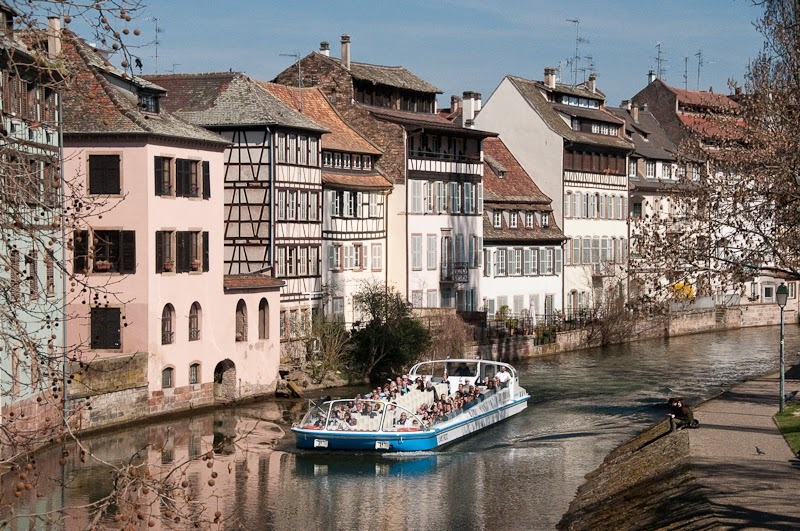 Strasbourg is located in the North East of France, 500 km east of Paris, closer to the german Border in Alsace. 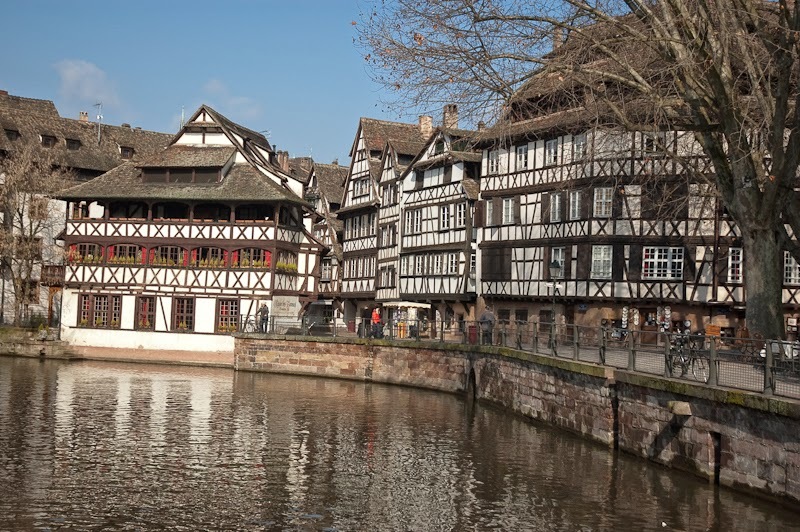 It's got 264 000 inhabitants (476 000 in the Strasbourg area which contains 28 others cities) and has a specific history which balances between France and Germany. Surrounded by the River Ill, the city center is an urban ensemble characteristic of central Europe, offering a fascinating blend of French and German influences and reflecting the political and religious changes that have taken place in the city since mediaeval times. It's was named a world heritage site in 1988. Neustadt (new town in german language) was a vast new extension adjoining the northern part of the old city. 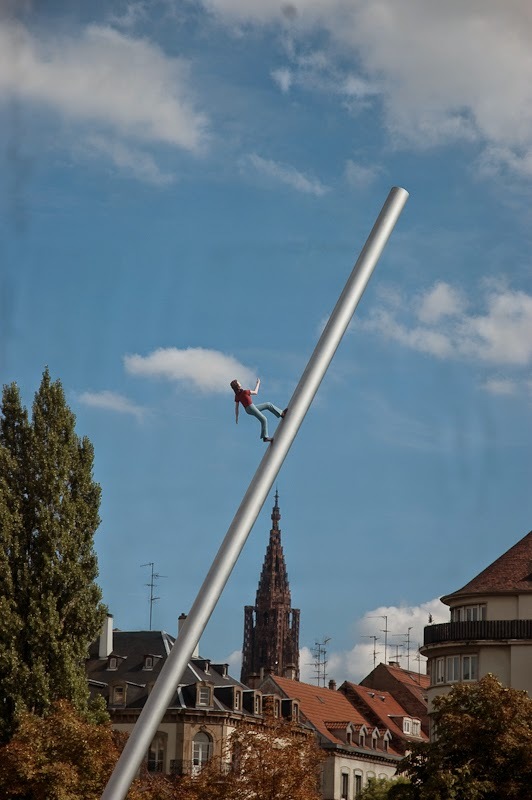 It was designed around public spaces and monumental buildings and was planned by the germans since 1871 when Strasbourg became capital of the Reichsland of Alsace-Lorraine. 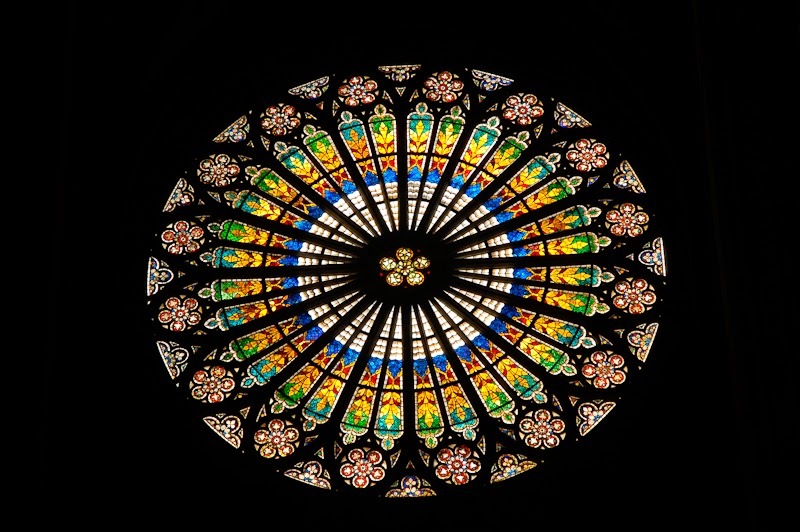 Neustadt marked a turning point in the long urban history of Strasbourg. 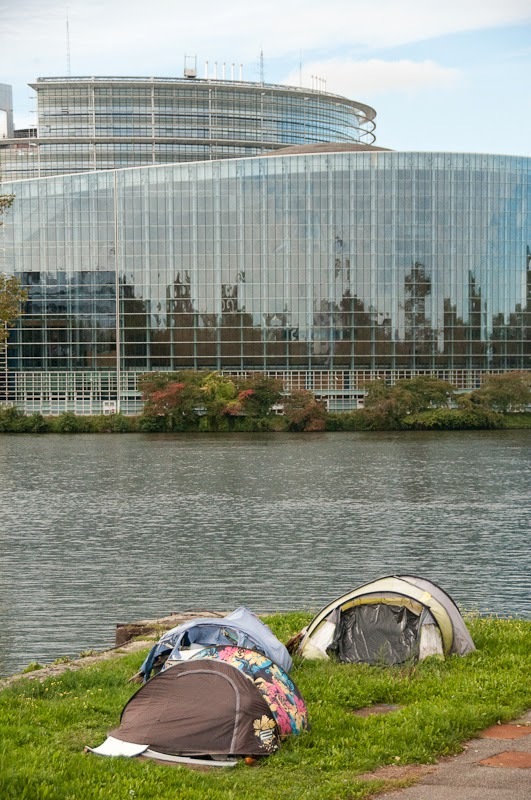 Strasbourg is the seat of the European Parliament and of several other european administrations (Council of Europe, European court of human right...). 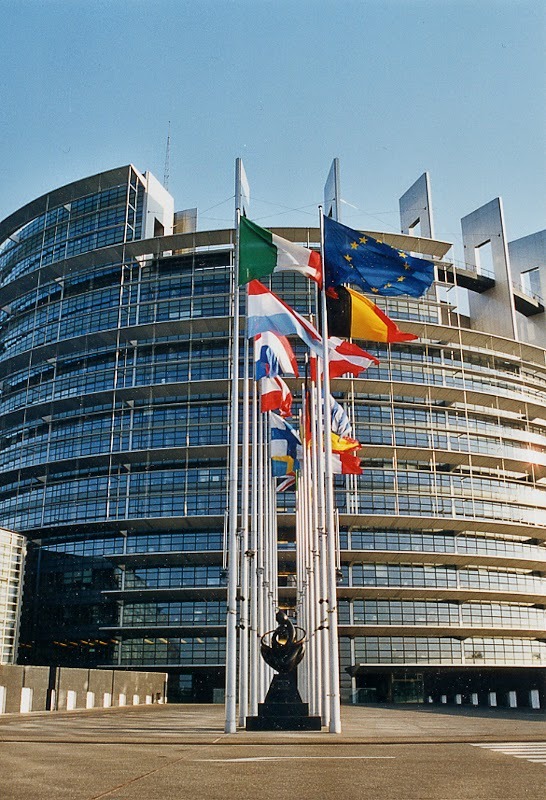 The parlement building was completed in 1998 and its 750 seats hemicycle is used by parliamentarians for the monthly sessions of the Parliament of the European Union. From the begining of the 21th century, Strasbourg and Kehl, its german neighborhood city far away 3 km are joining their forces to build with the Deux Rives project (two sides in english language) a binational city from each side of the border. 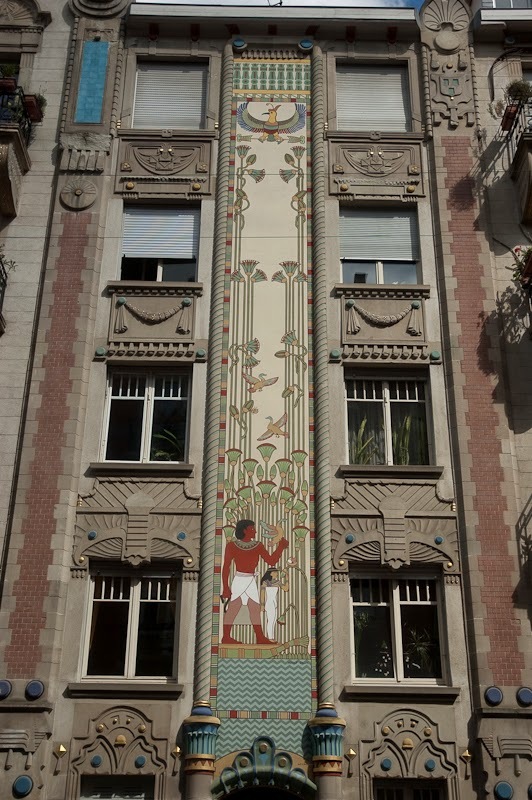 Deux rives is the largest urban project of Strasbourg since the construction of the Neustadt between 1871 and 1918. The main link will be assured by a new tram line which will cross the Rhine river border on a new bridge that will also be accessible only for the new tramway line, cyclists and pedestrians. 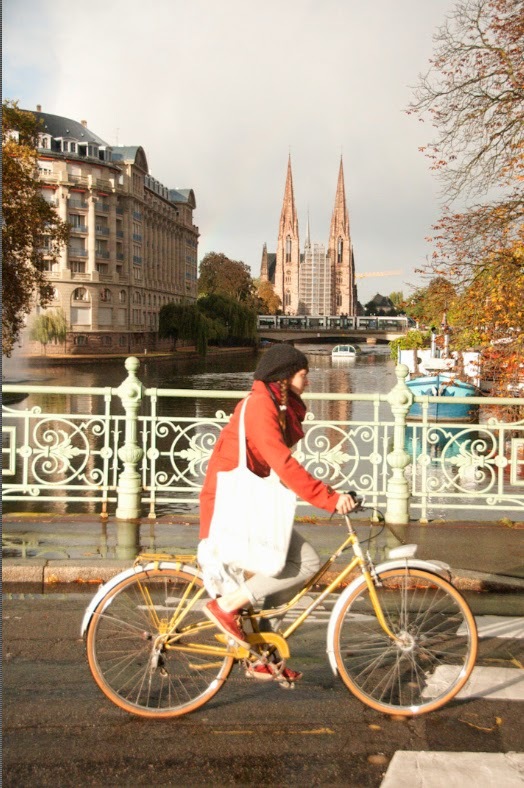 Strasbourg started to plan bicycle infrastructures in 1978 and today with 8% of cyclists in the Strasbourg area (14 % in the city center) and over 580 km of cycle tracks, the Alsatian capital is the city of France where bicycles as a daily mean of transport are most used. The 3rd master plan, adopted in 2011, sets out to double the modal share of cycling in the city, to reach 16% by 2025. 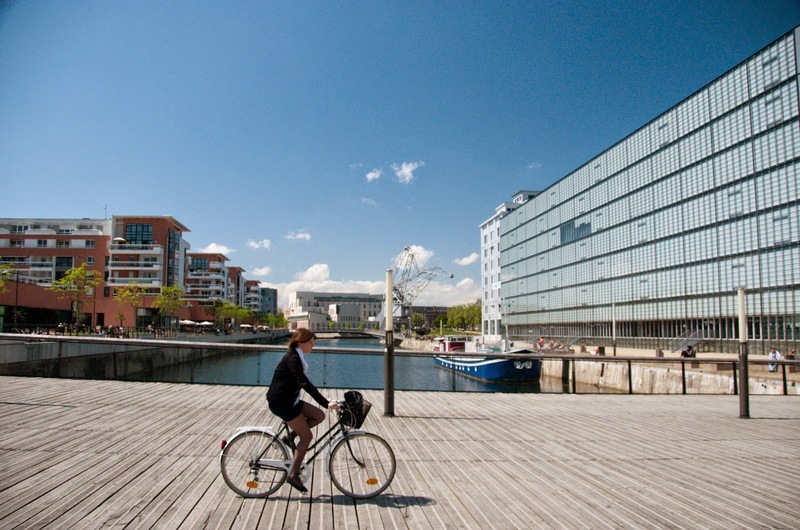 A number of actions have been scheduled to meet this target, including the creation of Vélostras, a cycle express-route network based on the Danish and Dutch cycle superhighway systems as presented by this article of the Guardian. A large part of the old city center is a car free zone so you can cycle or walk without any danger during your sight seeing. 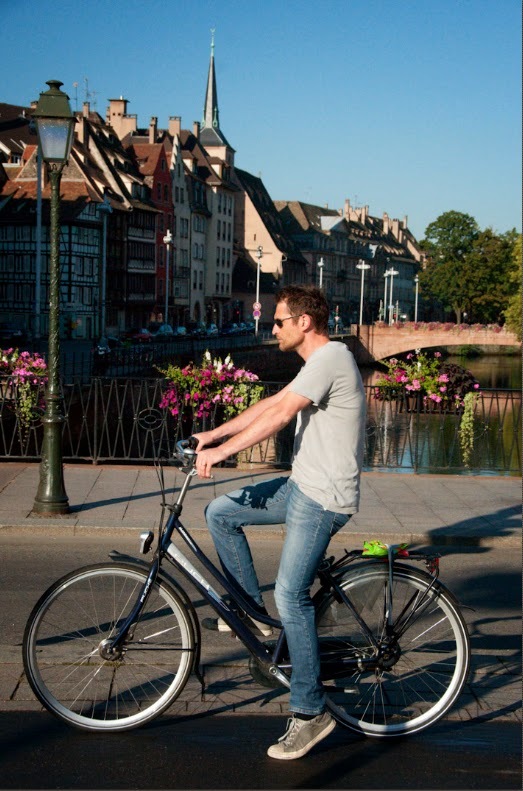 Every great touristic attraction (Petite France, European Parliament, German quarter, parks) can be reached by the bicycle network. You can rent one green and grey bike at Vélhop the bike sharing system of the city from 5 € per day. 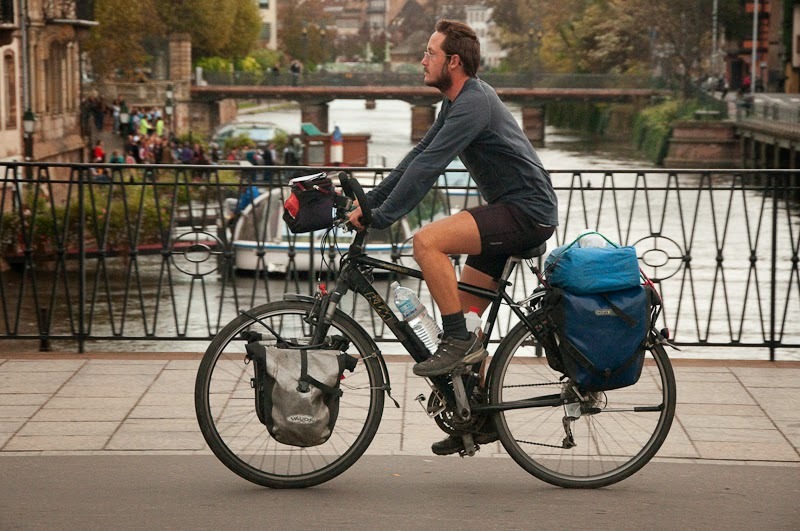 Vélhop is handy, and highly affordable. 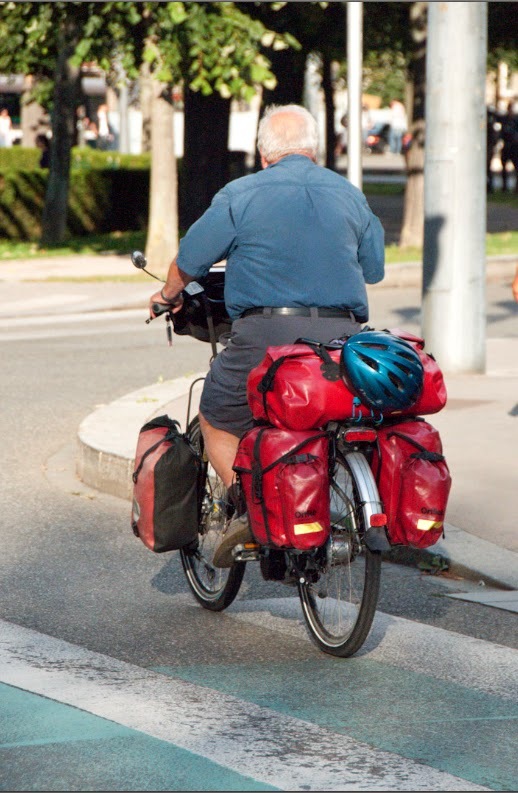 The bikes are of excellent quality, lockable and regularly serviced. 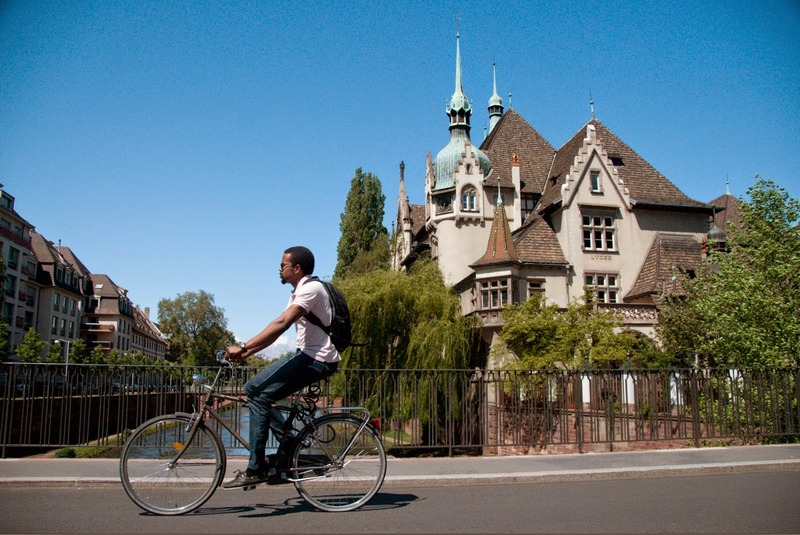 The "forts trail" is a Franco-German cycle route combining heritage and nature at the gates of Strasbourg. Over 85 km without any difficulty on both sides of the Rhine river, cyclists can sample delights ranging from hillside to countryside and Rhineland forest to woodlands while at the same time discovering the 19 fortifications making up the " Strasbourgs ring of forts". 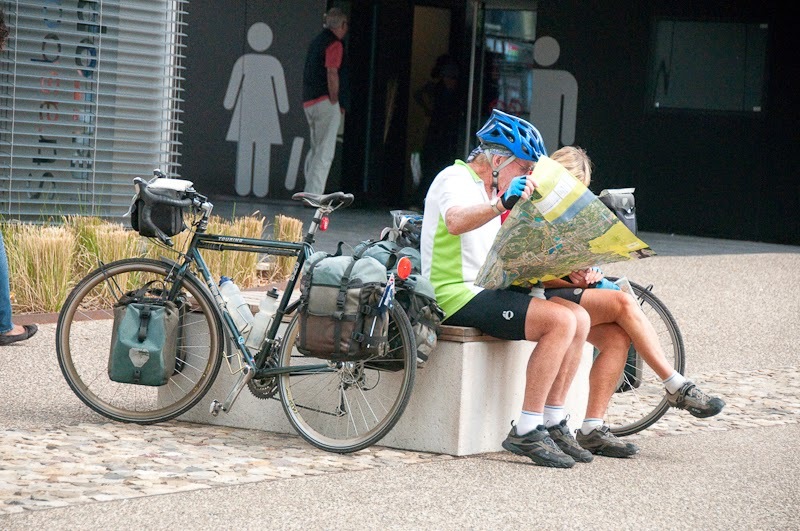 You can also only ride some parts of the trail which are easily reachable by the cycle network. 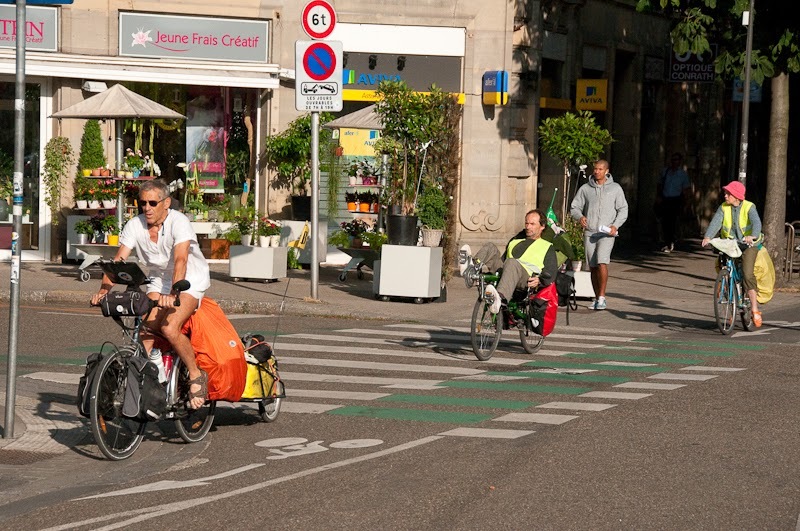 Strasbourg is also crosses by Eurovélo 5 (London/Brindisi in Italia) and Eurovélo 15 (Rhine route between Rotterdam and Andermatt in Switzerland) so you can reach easily the city by bike. 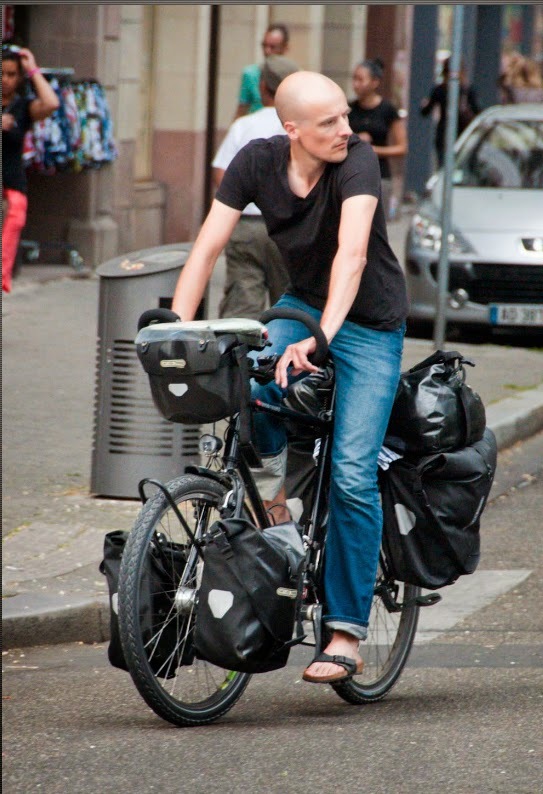 *Freewheeling France is an English-language website covering all aspects of cycling in France for fun. It is run by Lyn Eyb, a France-based Australian journalist who edits the site in her spare time. 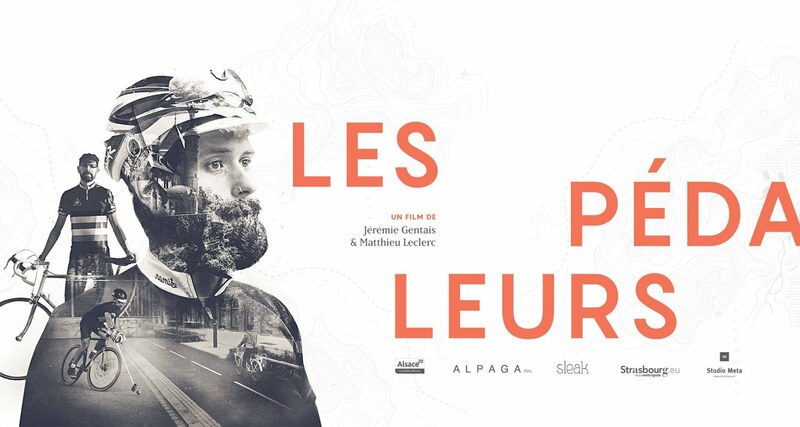 The site is intended to inspire and encourage people to see France by bike - both tourists to France as well as English-speaking residents who are new to France. 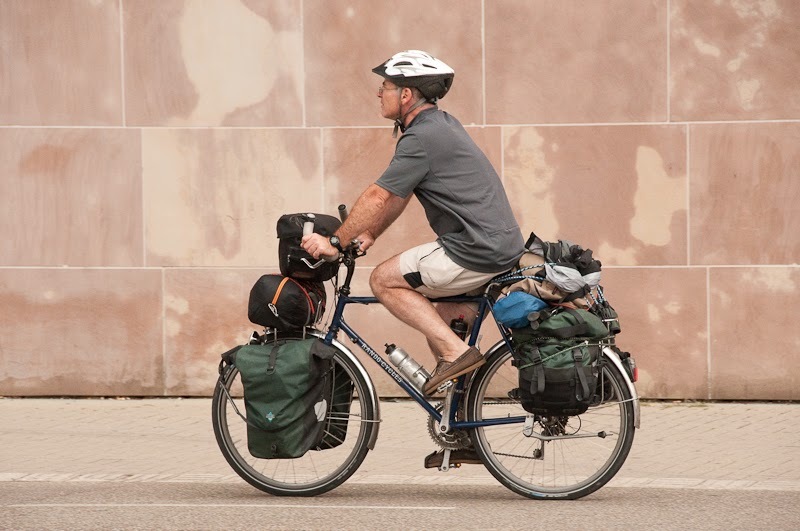 Lyn would love to hear from other cyclists who know their corners of France well, and who would like to share their local knowledge with riders new to France. When she's not working on Freewheeling France, Lyn can be found out exploring backroads around her home in south west of France with her 6-year-old daughter and her 3-year-old son (who considers his bicycle trailer his second home). Strasbourg, pistes cyclables à volonté ! Rando rétro Esprit Cycles, les photos ! Le pouvoir de la pédale.